Demand for Agile skills seems unquenchable as more Kiwi organisations embark on digital transformation. As more organisations appreciate the need for digital transformation, partner opportunities multiply. Auckland Transport is boarding the digital transformation train, seeking to appoint a panel of Agile specialists to support "a customer centric way of working". AT, which designs, builds, maintains and upgrades Auckland’s transport infrastructure, joins a host of organisations wanting to do things differently, to speed development and rollout and to focus on the customer experience. Auckland utility Watercare and banker Westpac also outlined their digital transformation ambitions at the recent IBM Watson Summit in Auckland. Unisys is helping NZTA transform while Genesis Energy, reporting its results this week, emphasised its Agile capabilities - and their impact on the company's bottom line. "In the retail customer area of our business, the implementation of new technologies has resulted in call volumes falling and self-service transactions increasing," said Genesisi chief executive Marc England. "Our agile workplace culture is working to redefine products and experiences for our customers, building on our position as the only company that can offer its customers bottled LPG, natural gas, and electricity on one billing platform." 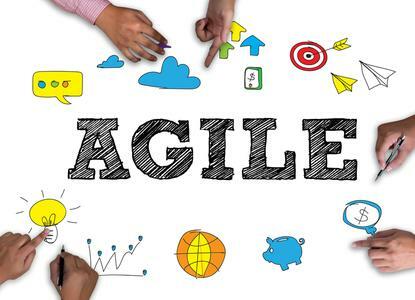 According to McKinsey, Agile is no longer just a methodology for software development but has become a critical capability for companies to respond to customers. In AT's case, the new panel will support the organisation's new "Customer Central" hub, created to establish a more rapid, collaborative project delivery model focusing on what the agency calls "customer problem statements and outcome focused delivery". Panelist need to deliver some or all of a range of skills, including design thinking, lean user experience sprint facilitation, high fidelity interface development, time-boxed, collaborative and co-located work and expertise in data and analytics as well as coaching, testing and integration. Agiile skills transfer, however, is a big part of the agenda, with AT seeking a measurable increase in experience design and Agile skills within Customer Central, which aims to deliver "great customer experiences quickly", and across the broader organisation. Presenting at the IBM Watson Summit last week, Watercare appeared to be in the early stages of its transformation. Like many organisations, Watercare is finding it is being measured against the "last best experience" a customer has had from any organisation. That has become the minimum expected. Paul De Quaastenient, manager IS portfolio and project management office at Watercare, outlined the challenge Watercare faces as a result Auckland's growth. He said in one week, 825 new residents arrived and 344 new homes were built. A new street was created every two days. "Watercare needs to plan and build for that and get ahead of the growth," he said. "In addition, customers expect to engage any time, any where and on any device." A changing technology landscape - including smart devices, IoT, cognitive computing - means Watercare also needs to get smarter with technology. Current ICT infrastructure is not the platform that will take the utility into the future. Working with IBM over six weeks of collaborative design thinking, helped create a visible and transparent transformation programme. IBM digital consulting leader Peter Johnston said the fundamental challenge for Watercare was how to shift from being an engineering-based company to a customer services company "without letting the good stuff go". "We need to set up this programme differently," he said. The Watercare transformation programme aims to be the opposite of those "large, nasty, demotivating" traditional projects where detailed requirements are identified over six months and frozen in time. "Where you get 30 per cent of what you set out to deliver and where everyone ends up blaming each other and the customer is no better off." The key to that is basing everything on the customer experience and, a piece often forgotten, the enabled workforce. "We're building a delivery approach that is flexible and adaptable to change and we're focusing really hard on helping Watercare build its onw leadershoip capabilities to deliver their own transformation programme," he said. For Westpac, speed of delivery was also key, Richard Jarrett, head of IT foundation and frontline experience, and Dave Corlett, head of application lifecycle management, explained. The journey was also a shift from SLAs (service level agreements) to collaboration. For Westpac the story began around two years ago when it was still batching up technical changes five times a year and projects were taking around eighteen months to deliver. For every dollar being invested in technology about 24 cents was of benefit was delivered to the customer. Slow, complex releases were matched by low visibility of benefits. Red tape had to be negotiated. Finger-pointing and blaming were also common. ICT's reputation with the business "was not flash" and things had to change. "We realised we needed to change the way we did it from very much a waterfall approach to start adopting Agile type principles and approaches and Lean-type principles and approaches." Anti-money laundering regulation was the precipice, being run out of the bank's risk and legal department. This "rather terrible looking child" was never tested by the frontline business unit and was immediately rejected. "That was the point we knew we had to change." A new CIO, Dawie Olivier, took his people out to other organisations to see how thing could be done - starting with a cultural transformation. A simple question was posed to staff: "What would a great day at work feel like?" It doesn't start with methods or tools, the executives explained, but with empowered people and an appetite to grow and learn and do things differently. From there the organisation was "flipped on its head". Projects were out as work got broken down into smaller units to be continually deployed. Squads and tribes were organised to deliver change quickly with the emphasis on geting close to the customer. Co-location and collaboration, open and sometimes "cathartic" discussions saw the organisation move from taking weeks to provision to minutes and offering users a choice of tools. "You have to embrace your suppliers and your partners and bring them into the organisation to operate as one." The outcome? Growing confidence. A payments environment was recently rebuilt, from the VM up, three times the day before go-live and twice again the following day with no impact on the customer. Automated rollout has helped reduce customer impact times from 8000 minutes a year to around 1200 last year and less than a thousand this year.